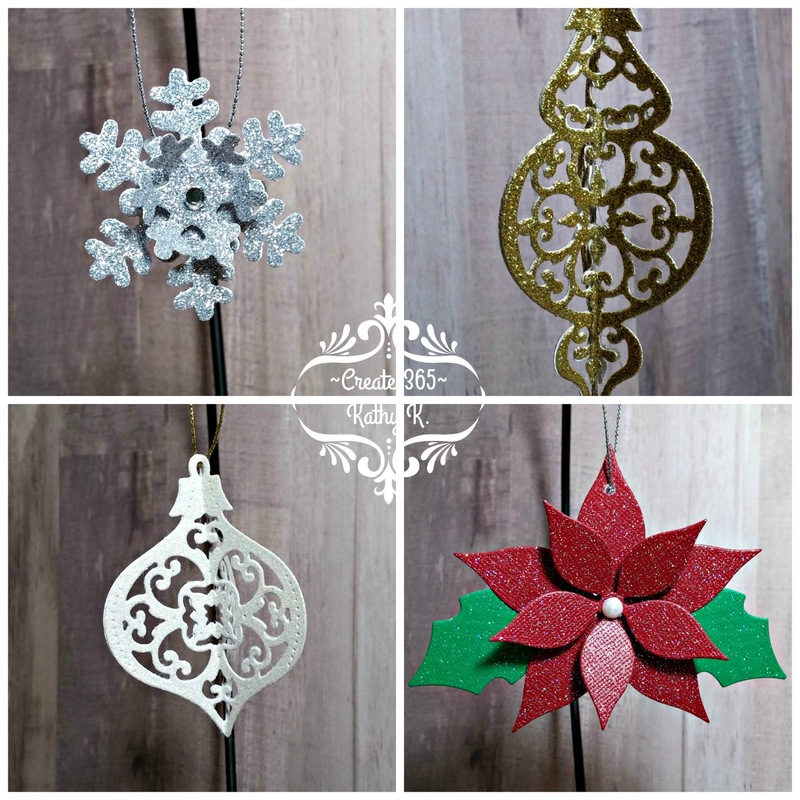 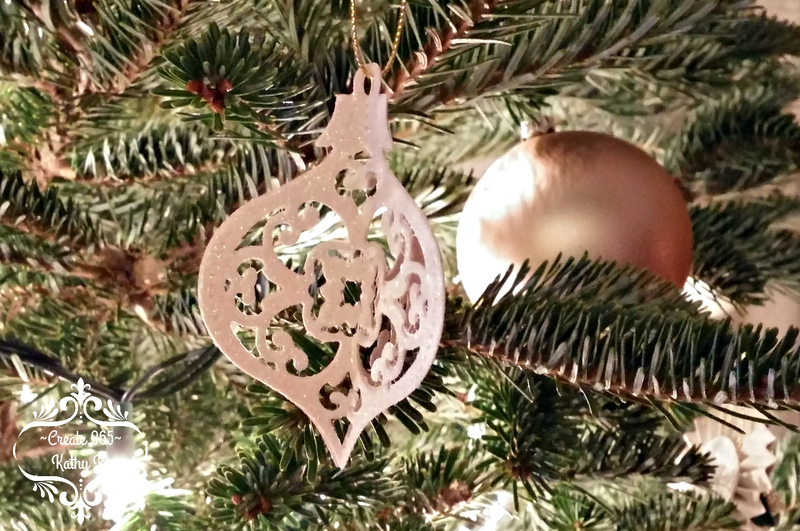 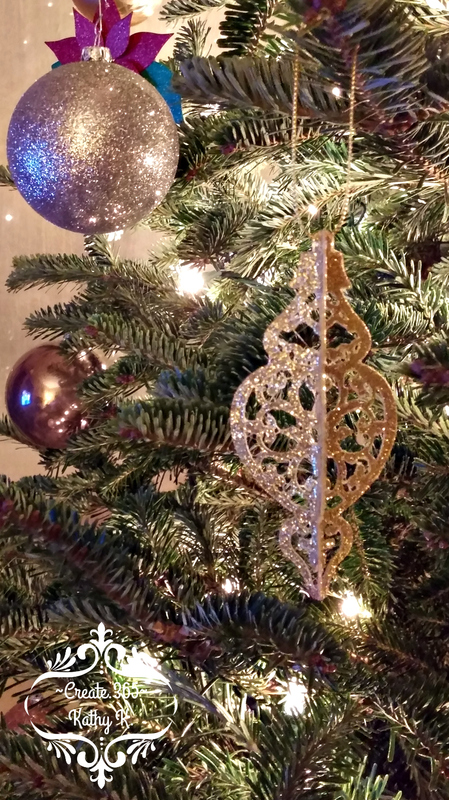 I thought I would share a few more of my handmade holiday ornaments with you today. These were all die cut from glitter paper and glued together in layers so that they are 3D. The only other decorations I have on my tree this year are a set of mixed metallics shatterproof Christmas balls that I purchased from Michael's. Our beautiful tree is a live, 6ft Frasier Fir that we cut down at a local tree farm the weekend after Thanksgiving. 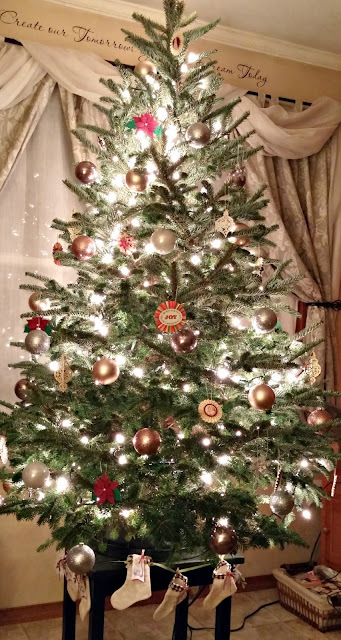 Because we share our home with many pets, we keep our tree up off the floor by using a small table to elevate it.